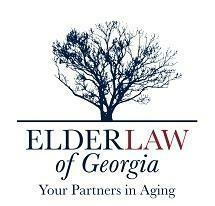 Elder Law of Georgia, P.C., is led by founding attorney Eric Owens, who is committed to assisting people in Gainesville, Georgia, with sensitive elder law and estate planning matters. Attorney Owens leverages his experience as a financial advisor to handle not only day-to-day issues affecting the elderly population, but also long-term concerns such as estate planning and the cost of assisted living. He helps families and individuals prepare in advance for difficult times and navigate them with confidence. At Elder Law of Georgia, P.C., we also offer focused counsel regarding Medicare, Medicaid and veterans' benefits. We deliver assistance with health care and planning as well as help clients understand nursing home rights. We draft advance directives and powers of attorney to ensure total peace of mind for families. Additionally, our firm guides people through the process of selecting and appointing a legal guardian. We oversee cases involving estate planning and probate, routinely assisting with the creation of wills and trusts in order to preserve and optimize assets. Regardless of what brings you to our firm, we offer a free initial consultation to help you understand your rights and options.